Nectarines are basically just peaches without the fuzz, and like their fuzzy cousins, nectarines are sweet, juicy, and delicious. 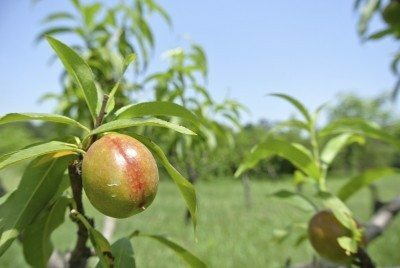 Growing nectarines isn’t complex, but these deciduous fruit trees do require a dependable water supply, regular fertilization and proper pruning. The following articles provide tips and best practices for growing nectarine trees in your garden. Panamint nectarine trees are very adaptable for home gardens and produce fruit with an excellent flavor. For more information about Panamint nectarine fruit, plus tips on caring for Panamint nectarines, the following article will help. If you love peaches but don’t have a landscape that can sustain a larger tree, try growing a Southern Belle nectarine. With its fairly diminutive height, the nectarine ‘Southern Belle’ can be container grown easily. Learn more about this fruit tree in the following article. According to Nectar Babe nectarine information, these are natural dwarf trees, but grow full-size, luscious fruit. You can start growing Nectar Babe nectarines in containers or in the garden. 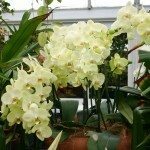 Click here for info on these unique trees plus tips on planting. The Harko nectarine is a Canadian variety high on taste and cold tolerant. If you want to grow this nectarine tree, it’s important to have some facts at your fingertips. Click here for information about growing Harko nectarines and tips about Harko nectarine care. If you are considering growing peaches or nectarines in a backyard orchard, Arctic Rose white nectarine is a great place to start. Click on the following article for information about this interesting cultivar, plus tips on Arctic Rose nectarine care. Nectarine disease symptoms may not be readily apparent, and you may have to do some serious observation to locate issues. Others are visually evident and not hard to identify. 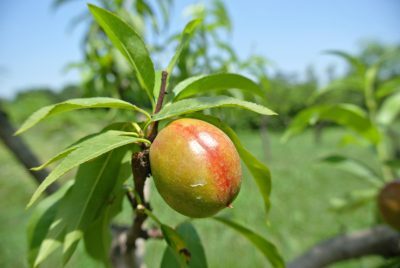 If your nectarine tree is looking or performing differently than in years past, this article can help. Nectarines and peaches are often used interchangeably in cooking. Not surprisingly, both often face the same pests in the garden. Controlling nectarine pests in the home orchard will help to maintain plant vigor and prevent future pest problems. Learn more here. Getting no fruit on the nectarine trees? 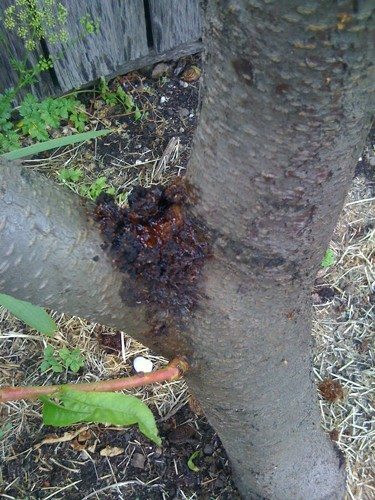 If there are no obvious diseases or insect pests, why is the nectarine tree not fruiting? There are quite a few reasons for a fruitless nectarine tree. Find out how to get fruit on nectarine trees in this article. Pruning a nectarine is an important part of taking care of the tree. There are a number of reasons for cutting back a nectarine tree each with a specific purpose. 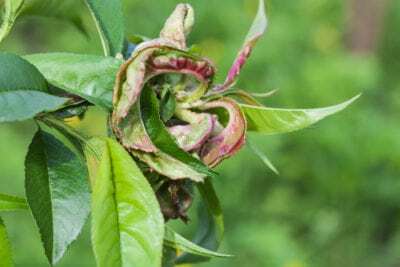 This article will help with the ins and outs of nectarine pruning. 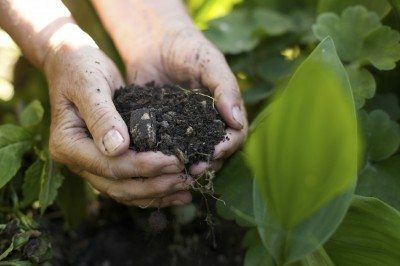 It?s relatively easy to grow fruit trees in containers, so you can keep them on a porch or patio and even bring them inside during the harshest parts of winter. 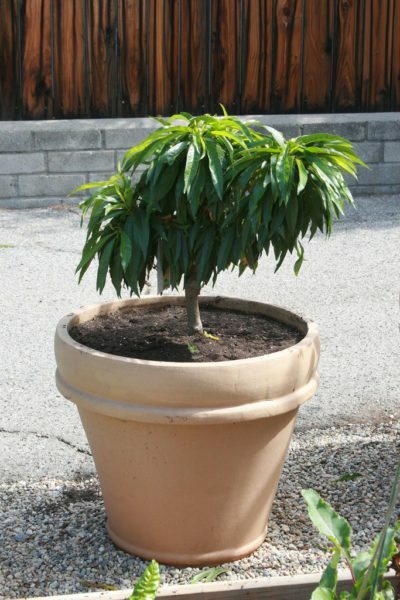 Learn more about how to grow a nectarine tree in a pot and potted nectarine tree care in this article. Stay a step ahead of nectarine pests without drenching your trees in toxic chemicals. How? This article explains when to spray nectarines, and offers some advice on the least toxic options when it comes time to do so. Click here to learn more. Nectarines happen to be one of my favorite fruits, but it can be hard to tell the exact perfect time to pick them. When is the best time to pick a nectarine and how to harvest nectarines? Find out in this article. If you have a nectarine tree, then you know that they tend to set a lot of fruit. Certain fruit trees set more fruit than the tree can handle and includes nectarines. Learn about thinning nectarine fruit in this article. In many parts of the country, it's not summer until peaches and nectarines start to ripen on local fruit trees. But what if your fruits aren't perfect, or worse, your nectarines are oozing? Read here to learn more. Nectarines are a delicious fruit and are similar to peaches. 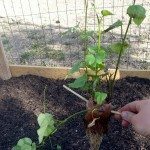 Read this article to learn more about how to grow and care for nectarine trees so you can enjoy these fruits right from your own garden.